PORTOLA HILLS LIVING by Kelly Turbeville: 5 Questions to Ask before you list your Portola Hills Home as a FSBO! 5 Questions to Ask before you list your Portola Hills Home as a FSBO! Thinking about selling your Portola Hills home, but considering doing it yourself. 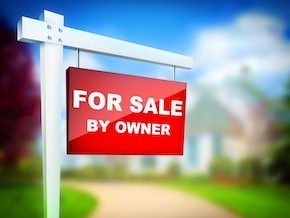 Are you ready to hit the market as a For Sale By Owner (FSBO)? Before you sign on the dotted line with yourself, ask these 5 questions! 1. Do you know and understand all required laws and pertaining documentation required? In California the laws when selling a home are extensive. Do you have access to all the necessary forms? They cover, safety, hazard, disclosure, discrimination, environmental, tax, title and much much more. 2. Do you have access to and a good relationship with a Title Company and Escrow company? A home buyer/lender is going to require a complete title review of your property as well to ensure Title is insured. An escrow company as well would be required to ensure funds are maintained in a separate account and managed accordingly to local property laws, plus lending requirements Home Owners Association (HOA) details. 3. Are you prepared to have the home inspected for repairs and pest control and understand what is required by law? Do you have a relationship with professionals who are reliable, trustworthy and understand they required laws? 4. How are potential buyers going to find your home? What is your pricing strategy for buyers to consider buying without representation? Are you prepared to negotiate with a variety of people during the transaction: Buyer, Inspector, Appraiser, etc. Who pays for what and what are the expected cost for inspections, pest control, HOA documentation, etc. 5. Who is your Buyer? Who are you letting in your home to preview it? Could there be a safety issue? Have they been pre-qualified, do you have a way of keeping track of them. Are you aware of the different lender requirements and the variety of loan programs? Does your home comply? The biggest question to ask yourself is: what are you trying to save by listing your home yourself? Is it strictly a money issue? FSBO homeowners often believe they will save the real estate commission by selling on their own. But what you may not realize is the buyer is thinking the same thing. I should get a lower price as you are not paying commission and will negotiate as such. What they don't consider is the liablity and cost. Did you know, statics from the National Association of Realtors shows that FSBO typically sell their home at a price of 16% less than the market value. Maybe the question to ask yourself before you list your home FSBO is the risk greater then the reward? Our goal is not to scare you into working with a Real Estate Agent.. However, I would recommend if you are considering listing your home yourself, meet with a couple of professional agents and get a full understanding of what is required in your area, what is happening in the market and the "real" cost to list your home. Even as Realtor I used a Realtor to list my home... It's that important!! Orange County Real Estate is Hot.. so why are these homes sitting?